Do I Keep My Depression Glass? Hi David I just had a question on what I believe to be a very rare jadeite dish that I plan to sell on ebay. My mom bought it a long time ago from an antique store. We have never been able to find one like it, even on line. I was wondering if you had any knowledge on it? It is a nutmeg jar with a hand painted nutmeg on it. I'd like to send a picture nut don't know how. If you can find a way to upload the photo to your computer, send it to me via email as an attachment. I can't wait to see that nutmeg jar! This is a little off the subject. Although it is a question. I'm curious to what types of TV programs, movies and books you enjoy? I'm a big PBS fan and enjoy movies and have a pretty good collection of cookbooks and novels. I plan to purchase the Downton Abby series. So....... What's your favorites? OK, Coco, I'm not a big TV program watcher! Believe it or not, it's rare for me to turn on the television. If I do, I like to watch cooking shows (big surprise). As for books, WELL, that is a whole different thing! I read every single day without fail. I'm a big fan of mystery/thrillers, Victorianesque, some sci-fi, and the classics. For that, I would have to email you. The list is TOO long! Wonderful! You know I never get tired of having a good book to read. I keep one on the night stand. I still go to the library in town. I would love to hear some of you're suggestions. Please e mail. I will email you with my favorites when I get a moment! Without having a picture of what you have, it sounds like something from one of the Martha by Mail Halloween kits. You can always send me photos to my email address (click on the link in the sidebar, upper right of the blog) so that I can ask around. David, I just want to tell you how much I love your posts. They are always so pretty and well written. I usually learn something. I wish you a Merry Christmas and very prosperous new year. Anonymous, I would say to register that pattern through Replacements Ltd. so that you get email updates on available pieces as they get them. Also, check eBay and even Etsy. People occasionally put Danish Fern up for sale. I'm so sorry that you lost those pieces! 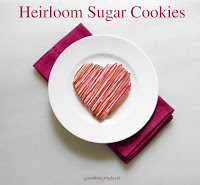 I'm making your heirloom cookies and the dough is quite dry and crumbly. I don't know how to fix it. Can you please help? Try adding an extra egg to it, but do it in the mixer until it comes together. Thank you so much! I already pulled the dough out and it's in the refrigerator. Would adding water help? Thank you for the advice! Joelle, don't add water to the dough. The egg should be enough to bring it together. Dear David, who makes those lovely cup/saucer on ur 2 pics above? The one looks like MS drabware which unfortunately had been discontinued by the time I found it. I love the shape of those sets, large "real" cups. tks! You are exactly correct. Those are indeed, Wedgwood drabware from the Martha by Mail catalog. They're such a pleasure to use, and easily accessible these days! What kind of food colouring do you use in your royal icing? I prefer to use the paste/gel type by Americolor or Ateco. They give consistent results every time. 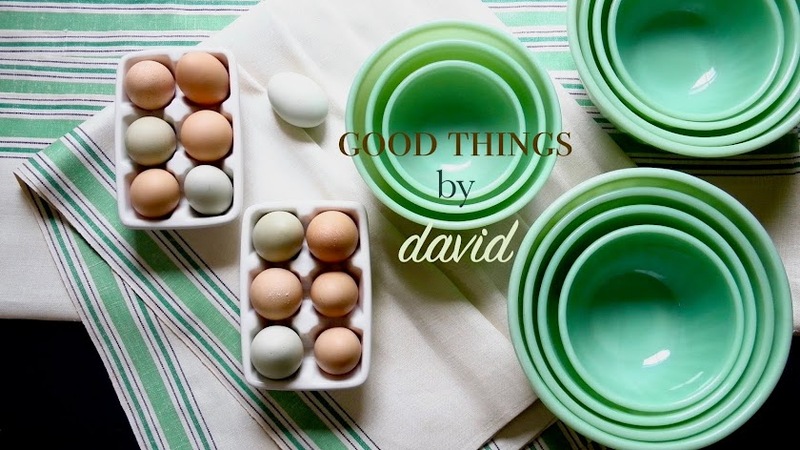 Just wanted to leave a note for you that since we last e-mailed about Wedgewood Drabware several months ago, I have been able to build up a place setting of eight with dinner, salad, cup/saucer, berry bowl and rimmed soup bowl. As I expected, just beautiful, classic and can be used for formal or casual. 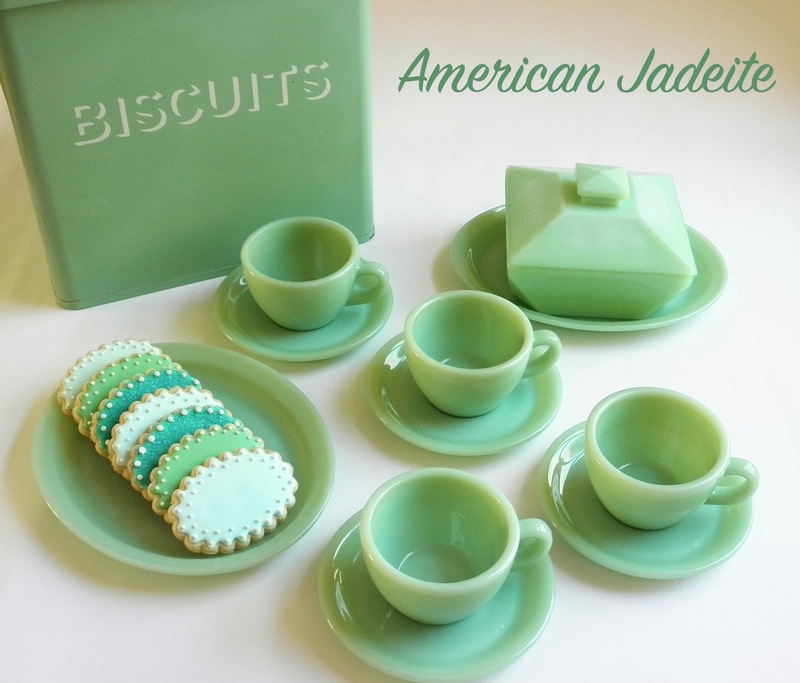 In addition, your information on Jadeite has been educational as well. To that end, the Fire King Jadeite Restaurant line is something that I've started as well. Wondering if it would be interesting if you did a post on the history of Fire King and their lines of dinnerware etc. throughout the 40s, 50s and 60s etc.? As I perform my own research, I did not realize the scale and offerings that they had. That's great, Geoff!!! I'm so glad you like drabware and have begun a good collection. Enjoy it! Oh, doing the history of Fire King might prove to be a monumental project. Maybe someday!